The OutdoorXL website is operated by Authentic Outdoor BV, a Dutch “Besloten Vennootschap” which is a limited company established under Dutch law. Authentic Outdoor BV is responsible for the OutdoorXL website and data. Authentic Outdoor BV is located at Aalborg 1, 2993 LP Barendrecht in The Netherlands. 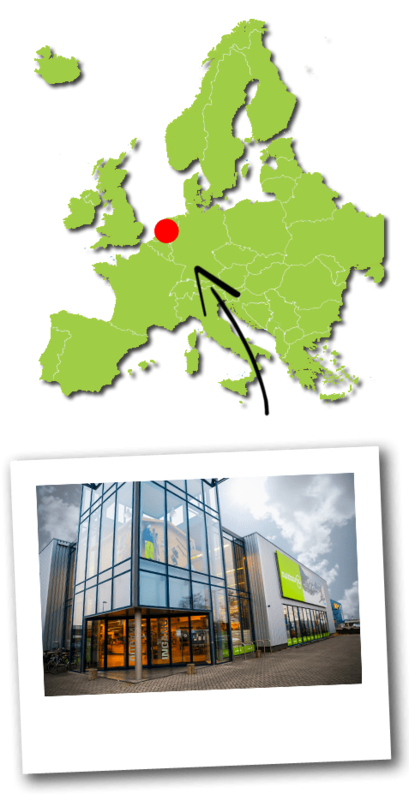 That is also where our OutdoorXL store is located. During opening hours you can always call us if you have any queries. We analyse the data of our site and its visitors with Google-Analytics. Google Analytics is a service of Google Inc., 1600 Amphitheater Parkway, Mountain View, CA 94043, USA, which is used worldwide. By using Google Analytics cookies, we can collect information about your visit to our website such as the pages you visit, the links you click and other functionalities you may use. With this information we can see which parts of our site are well visited, what information is not found and what visitors find interesting. For this we use analytical cookies on our site. We use functional cookies to make our website work properly, for example for your shopping cart and the checkout process. For these cookies, your prior consent is not required since they do not affect your privacy. We use analytical cookies to improve our website. We use the service Google Analytics to analyse our website. In this process we do not collect personal data, however Google Analytics collects data regarding your browse behaviour. Because analytical cookies have minor consequences for your privacy, no permission is required for the use of these cookies. These analytical cookies also include cookies that are placed and read by third parties on behalf of OutdoorXL, such as Google Analytics. Google offers a service to disable these analytical cookies on https://tools.google.com/dlpage/gaoptout?hl=en . We display advertisements on third-party websites. This may be done on the basis of your personal interest areas. For this we use advertising cookies from third parties, such as Facebook and Google, on our website in order to be able to show you advertisements that best comply with your interests. We do not receive any information ourselves through these cookies. They are used by these third parties to display advertisements on other websites. How these third parties handle your privacy you can find on a the respective third-party websites. See for Google https://policies.google.com/privacy and for Facebook https://www.facebook.com/privacy/explanation . Click here for a list describing the cookies we use. You can disable cookies in the browser settings (such as Chrome, Explorer, Safari or Firefox). In your browser settings you can also set that cookies will be removed automatically when you close your browser. The analytical cookies used on our website and processed by third parties on our behalf, in our case Google Analytics, can be disabled with a browser plug-in that Google offers. You can download this service on https://tools.google.com/dlpage/gaoptout. Do you want to turn off ad cookies from third parties? You can disable advertisement cookies on www.youronlinechoices.com . Here you disable cookies for individual advertisement services. As you will see on www.youronlinechoices.com , there are many advertising parties. We use Google and Facebook. The functional cookies provide proper functioning of certain parts of our website such as the shopping cart and the checkout process. Without these cookies, for example, check out is not possible. If you disable cookies that store settings and preferences, settings such as passwords, login name, and other data cannot be stored. If you disable analytical cookies, the way you make use of our website will not be stored. During this process, we do not collect any personal data, only data on how the website is used. It will be harder to improve our website. If you disable advertisement cookies, our advertisements that you may see on other websites are no longer tailored to your interests. It does not prevent you from seeing advertisements. For a complete overview of the cookies used, click here to see our cookie list. The overview shows our cookies and explains what we use them for.